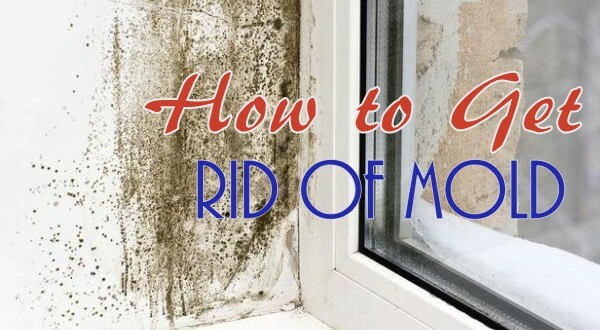 Mold and mildew are more than an annoying problem, they can lead to serious health complications and even damage the structural integrity of the surface it is living on. Thankfully, you can get rid of the fungal growth without toxic chemicals that can cause more harm than good. Oxygen bleach is a safer alternative to traditional chlorine bleach. Unlike chlorine bleach, which can damage and discolor various surfaces, oxygen bleach can be safely used on just about anything, while still killing mold and mildew. Oxygen bleach contains sodium percarbonate and can be use around plants without the fear of harming them. Furthermore, oxygen bleach is safer around children and pets than the traditional bleach counterpart. To make the mold killer, mix 1 cup of oxygen bleach with a gallon of water. Use the mixture to wash the surface clean. Baking soda is an extremely common kitchen staple that is a major part of various recipes, such as cookies and cakes. It can also deodorize your home and kill mold and mildew. Baking soda is safe for use around children and pets, but that doesn’t mean you should let them play with or consume the baking soda. To kill mold, simply dissolve 1 cup of baking soda into a gallon of water. Use this mixture to scrub the mold and mildew off the affected surface. Distilled white vinegar is a versatile liquid that has hundreds of uses both inside and outside the house. One of those uses being an all-natural, non-toxic mold killer. White vinegar can be used on any surface without worry about causing damage. Unfortunately, vinegar’s pungent odor is something that keeps people away from this natural solution. Thankfully, this smell dissipates relatively quickly and usually won’t be a problem after a few hours. If you want to give this effective mold killer a try, simply mix equal parts distilled white vinegar and water together. Clean the mold and mildew off the surface with the mixture. No matter what natural mold killer you choose, make sure to rinse the homemade cleaner off the surface with cool water before wiping it dry. Furthermore, sf the fungal problem is large or extensive, you will need the help of professional mold remediation Maryland. Expert mold removers have the tools and know-how to properly get rid of a large mold infestation, something that most consumers don’t have.